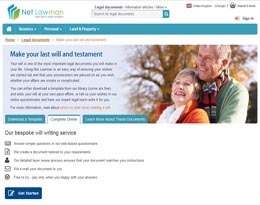 MyLawyer’s service allows you to create a solicitor drafted will online. 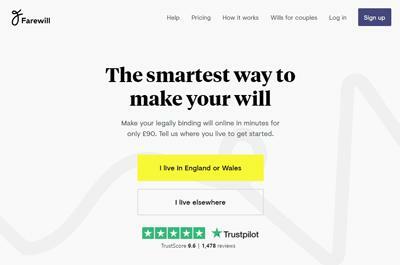 Their Online Wills centre is designed to make getting a Will as convenient and simple as possible. Plus there are legal experts available to help you every step of the way. 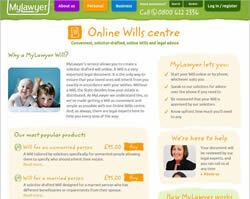 With MyLawyer you can start your Will online or by phone, whichever suits you. You can also speak to a solicitor for advice over the phone and be reassured that your Will is approved by expert solicitors. 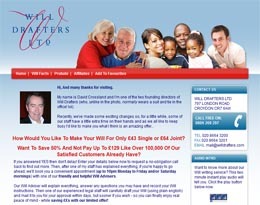 Plus you’ll know upfront how much you’ll need to pay for your will. 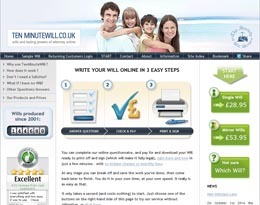 To create your Will document, simply answer an online questionnaire. If you are unsure of anything you can call us for advice. Once you have answered all the questions you submit it to our solicitors through our system, who’ll check it’s right for your circumstances. You” receive an email or phone call within three working days with further instructions. When your Will document is complete, you can print it using our secure, password-protected, online storage facility and also access your document at any time. 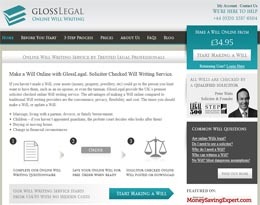 This page offers a brief summary of the MyLawyer online will writing service. Please visit the official website for full details by clicking here. Although we make every effort to ensure our review of MyLawyer is accurate and up to date; prices, terms and conditions are subject to change. Therefore reviews may be dated, partial or inaccurate; and should not be solely relied upon without conducting your own independent research before deciding to make a purchase or other course of action.